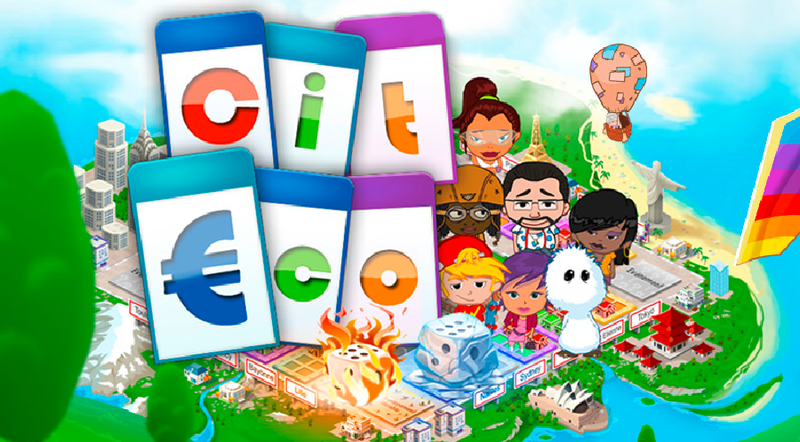 Cit€co is the first serious game developed by the Cité de l’Économie et de la Monnaie. Aimed at ages 15 and up, it’s an educational game that was originally available on Facebook (from 2013 to mid-2015) and has now been released as a web version. - throughout the game, players have to manage their cashflow and energy levels, and face challenges in the form of random events that can have either a positive or negative impact. - integrating sustainable development concerns: choosing between environmentally friendly and standard shops, climate events, etc. The player’s final score reflects the strategic decisions he or she has taken. Players can win extra energy points by answering questions on the Cité de l’Économie website. As with all projects currently being developed by the Cité de l’Économie, we welcome any comments and suggestions on Cit€co. They will be studied carefully to help us improve the game and, more generally, to make sure the Cité de l’Économie et de la Monnaie meets your expectations. Published on 21 October 2015.